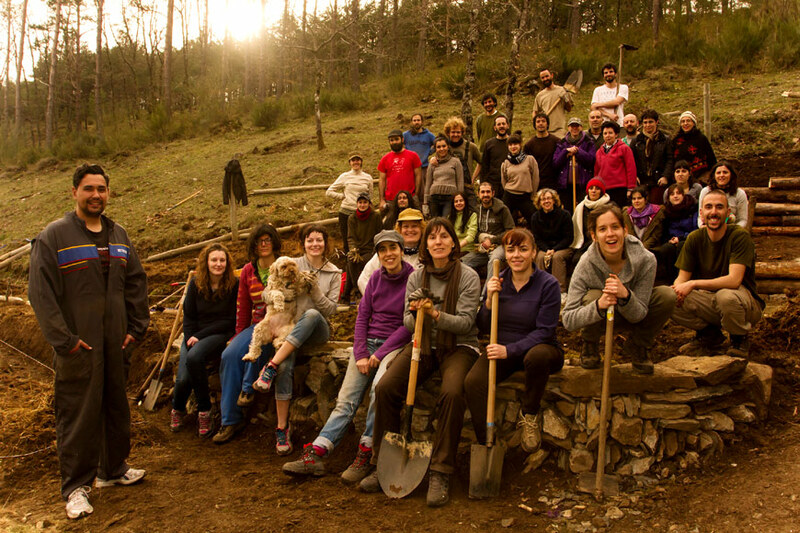 Amigos da Terra developed the project “As Corcerizas” with the aim to lead and demonstrate a new development model based on sustainability criteria, through alternative practices that minimize our environmental and social impact and that could easily be incorporated into daily decision making. In As Corcerizas we commit ourselves to a paradigm shift, using different tools that enable us to adopt responsible attitudes without perceiving them as expensive or as a renunciation of the achieved levels of quality of life. From the same environmental coherence in the design of the equipment to a proposal of educational activities that take place inside, we show a firm commitment to make the most advanced recommendations of new methodological lines of educational intervention become reality. It’s a serious and proven commitment to Environmental Education of high quality, dedicated, critical, participatory and pluralistic. It is not only based on providing information but also and above all, on supplying direct and personal experience to those participating in the environmental issue, so that they will change to responsible behavior and attitude to be part of the problem’s solution. We develop programs from an comprehensive educational point of view, seeking the common origin and multiple causes of environmental problems, and not addressing issues in an isolated manner. 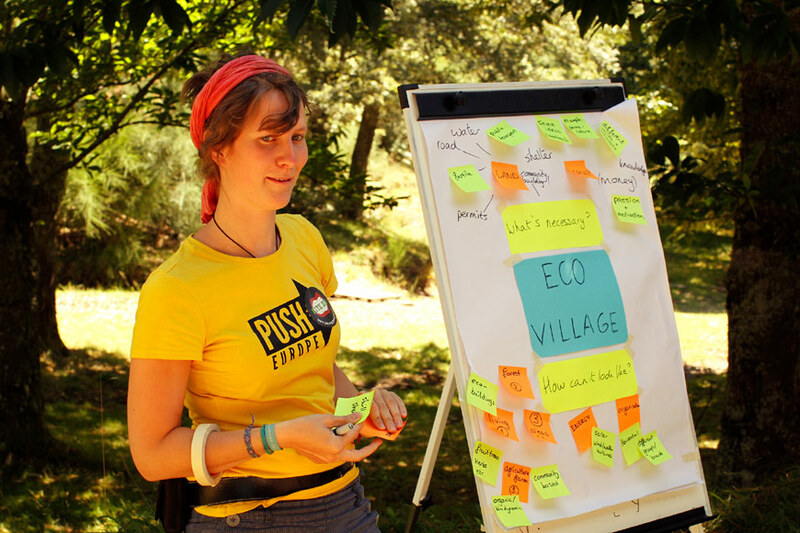 All activities about the approach to nature are realized with a dual character: a serious ethical commitment and a playful and motivating methodology; providing accurate and adapted education and information of high quality to the group. Connected with the areas in which we operate. For more information see related activities. Through programs for a day, a weekend or short stays which include various activities. 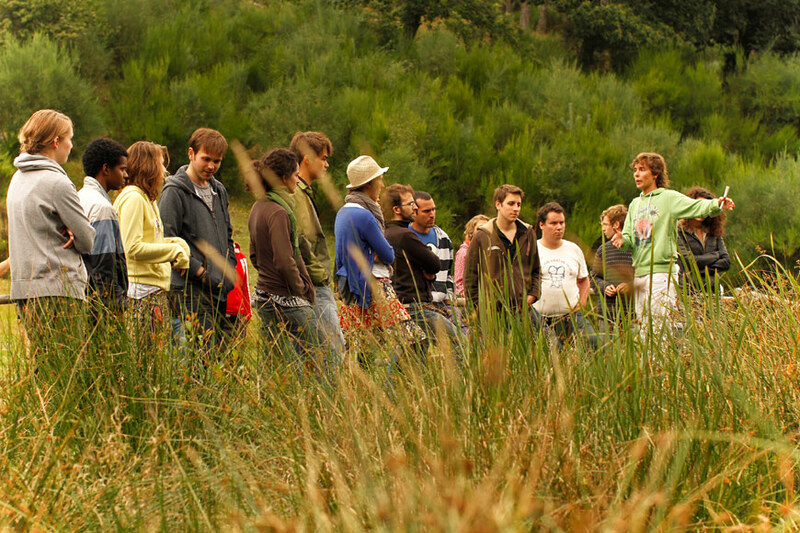 Interpretative visits to the facilities and practical activities about renewable energy, green building, phytodepuration, composting, organic gardening and sustainable food. Interpretative routes in the San Mamede Mountains and ethnographic activities; knowing the flora, fauna and their tracks. 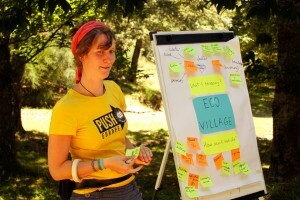 Environmental and crafts workshops, group dynamics, cooperative and role-playing games. Connecting the three defining concepts we apply in the activities: Feeling, Knowing and Acting. Feeling and developing multisensory capabilities in the surroundings. An emotional approach that transversely covers every activity between the teaching team and the participants. This affective approach by the given frame is the first step to knowledge and action. Knowing the facts, studying and thoughtfully analyzing the benefits/impacts and implications of our actions and activities. We understand environmental education as a performance that generates scenarios for a learning process, where the road ahead should be as motivating as the ultimate goal. Acting cooperatively for the resolution, to achieve change, to generate pro-environmental attitudes and aptitudes. Training for action through a process of processes in which we all are determining factors, and only among everyone we will find lasting solutions. An existential and comprehensive experience of high value for adults, kids and teenagers, educating to live with consistency and respect in a society of the future. 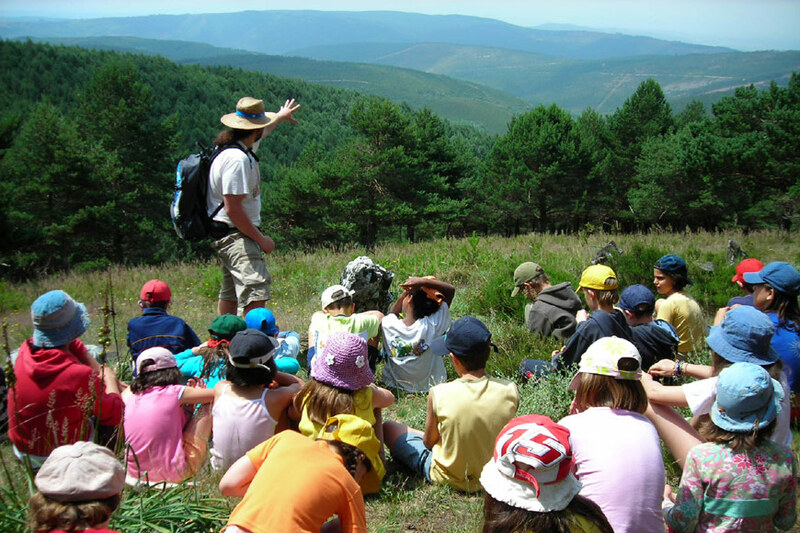 Summer Camps, Christmas Camps and School Finalist Camps: the activities are selected and organized for the participants to acquire, in addition to new knowledge, attitudes and skills as motor skills, cooperation, mutual respect, coordination, socialization, imagination, physical and mental agility. They are always focused on an educational perspective both playful and adapted to different ages and groups. 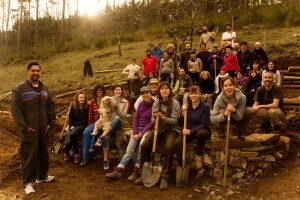 Bioconstruction Labor Camp, a consolidated international program: a participatory space for practical training in green building through collective work that shows how to use eco-friendly materials to minimize the impacts that our way of life generates on health, environment and society. Events to promote the meeting and exchange of experiences: conferences, international seminars, realization of meetings and assemblies of different entities.